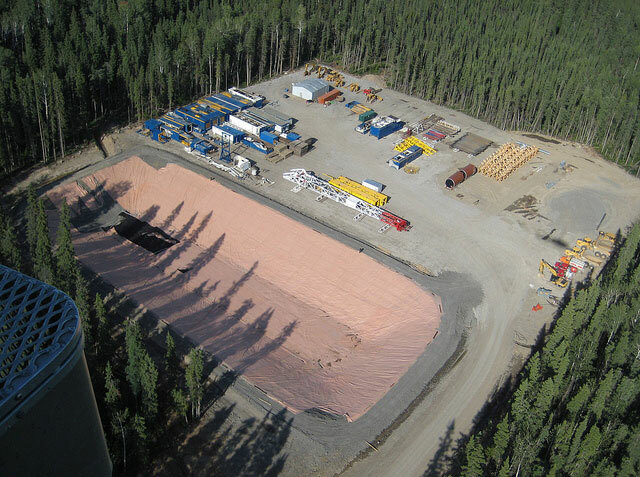 Advanced flexible polyurea coatings, applied directly to the substrate or pre-applied to geotextile liners, provide seamless containment for facilities and field applications. However, the formulation of tough, monolithic, flexible coatings such as polyurea are now resolving this issue for contractors, engineers, and facility managers. 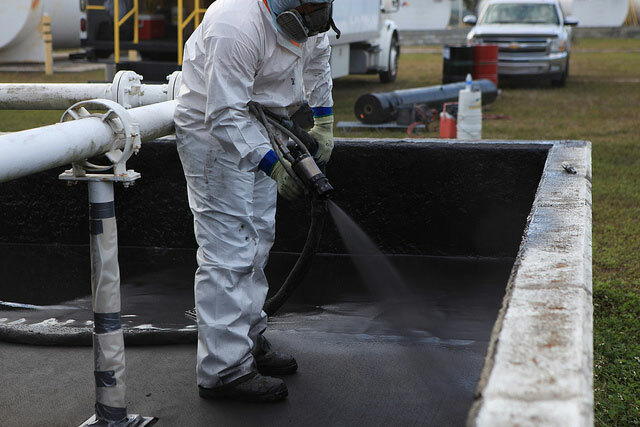 When applied directly to concrete or metal surfaces, polyurea not only reinforces and protects the underlying substrate but can also bridge gaps or cracks of 1/8” or larger. “Typical coatings do not hold up well to substrate movement or daily, seasonal, or process-related thermal expansion and contraction, which can lead to cracks and leaks,” says Jim Collins, co-owner of South Penn Resources, a company that creates containment systems in the Pennsylvania region. After considerable research and testing, Collins says he turned to an advanced polyurea system from VersaFlex, a leading manufacturer of spray applied polyurea for primary and secondary containment. “For primary containment at oil field drilling sites, we used to put various plastic systems on the well pads, but we moved away from that because plastic was not durable enough,” says Collins. Repairing plastic liners also presents a problem at the seams, when damaged areas are cut out and new sections welded in, says Collins. “The result is a patchwork liner with seams that are prone to failure due to improper welding as well,” he says. “To reuse a containment system, we’ll cut it up into rolls, roll it up and move it. Then we’ll take it back out, respray certain areas, and reinstall the original containment system at another location,” explains Collins. 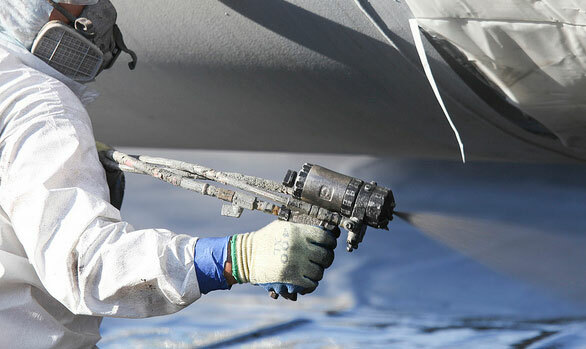 While traditional coatings such as cementitious materials, epoxies, and polyurethanes will prematurely fail if not installed under a relatively narrow range of temperatures, polyurea is designed for installation and use from -40°F to +350°F. It will withstand decades of freeze-thaw cycling, and wide variations of temperature and humidity. 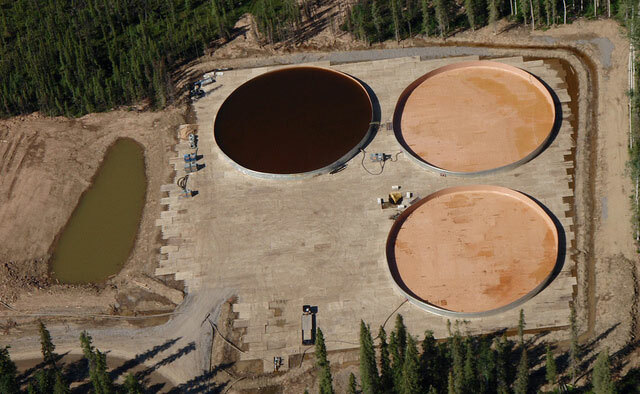 To withstand extreme weather conditions at a northern Indiana wastewater treatment plant, Hoop selected polyurea for a secondary containment area around ferric chloride tanks. “After filling in cracks with grout and restoring the concrete, we sprayed the polyurea on geotextile to provide a really nice containment area for the ferric chloride tanks,” she says.